Children in grades pre-K through 8 are invited to sign up for the 10th annual Kids Marathon, a fun way to incorporate physical activity into their daily lives. This program is hosted by Princeton Health Community Wellness and Princeton Fitness & Wellness. Marathoners will begin activities on their own, striving to walk, run or roll a total of 25 miles, or 2.5 miles per week, during the 10-week period from mid April through June. Any physical activity—from organized sports to household chores—can count toward the total. Then they will gather on June 24 to finish the last 1.2 miles together and receive their medals! Parents may run with their children or cheer them on from the sidelines. After the race, enjoy music, face painting, kids crafts, vendors, healthy refreshments and more! Kids can sign up for Wellness program such as, Grow Your Veggie Garden, Pilates for Children,Kids Boot Camp and earn 1 mile for each class they take! 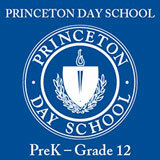 Visit www.princetonhealthinmotion.com to see the full list of Wellness Programs for Kids. The cost is $25 per child and proceeds support Princeton Health's programs to promote wellness and prevent obesity and chronic disease in children. All children are encouraged to participate. If cost is a factor, contact Debbie Millar at dmillar@princetonhcs.org or 609.897.8982 to see if your child is eligible for a free scholarship.